Scientists have crafted a game geared towards people 50 years of age or older that can train the brain to process information like it’s three years younger than it really is. The game originally dubbed “Road Tour” and later renamed “Double Decision” is designed to help focus and enhance memory and concentration while helping the mind block out unwanted distractions. One year after engaging in just 10 hours of gaming, a study of 700 middle aged participants revealed brain behavior that was enhanced rather than deteriorated and on average at a level 3 years younger than participant age. Some aspects of the participants cognition was even higher. One test revealed participants cognitive speed was an incredible 7 years younger. We know that this can stop the decline and actually restore cognitive processing speed to some people. So, if we know that, shouldn’t we be helping people? It’s fairly easy and older folks can go get the game and play it. Double Decision is completely free and currently accessible online along with a plethora of other games crafted by BrainHQ to enhance attention, brain speed, memory, people skills, and even intelligence. 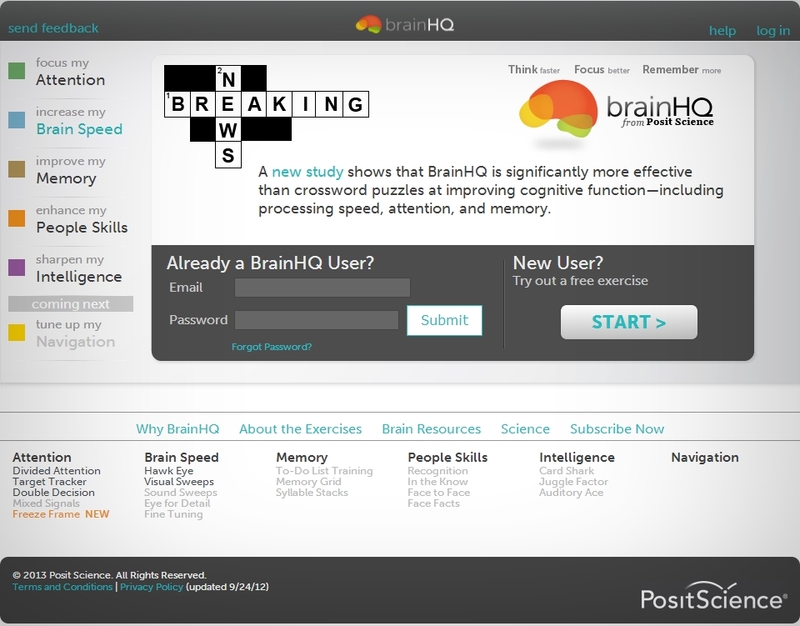 BrainHQ is also soon to reveal it’s newly designed games to fine tune navigation skills!